Our pets are our faithful companions. They love us with unconditional love and we in turn treat them as best as we know how. 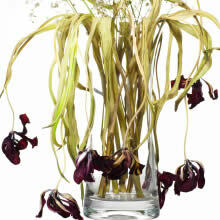 When a pet dies it's as if part of us dies as well. 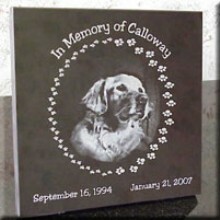 A laser-engraved pet memorial is a wonderful way to keep those memories close at hand and honor our furry (and not-so-furry) friends. Flowers die, but an engraved brick or stone will last forever. Need more ideas? Check out our Products Page to see all the options that are available to you or call us at 419 408 4129. Engraved Brick Pavers is a subsidiary of Fidelity Builders Supply, Inc. At Fidelity, we've been working with brick and stone since 1958. Engraved Brick Pavers builds on our superior knowledge of brick and stone to offer you unsurpassed quality.